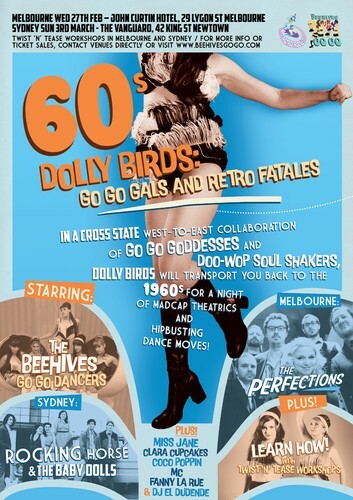 In a cross state west-to-east collaboration, touring Perth-based GoGo Goddesses, The Beehives, and doo-wop soul shakers, Rocking Horse and the Baby Dolls, will transport you back into the wildest nightclubs of the 1960s. Do the twist, the monkey, the watusi, and the pony with a head spinning amount of freestyle shimming. Dazzling four part doo-wop and madcap theatrics top this hip busting show, and vinyl spinner, El Dudende will take you to boogie town till the night's shaky end. 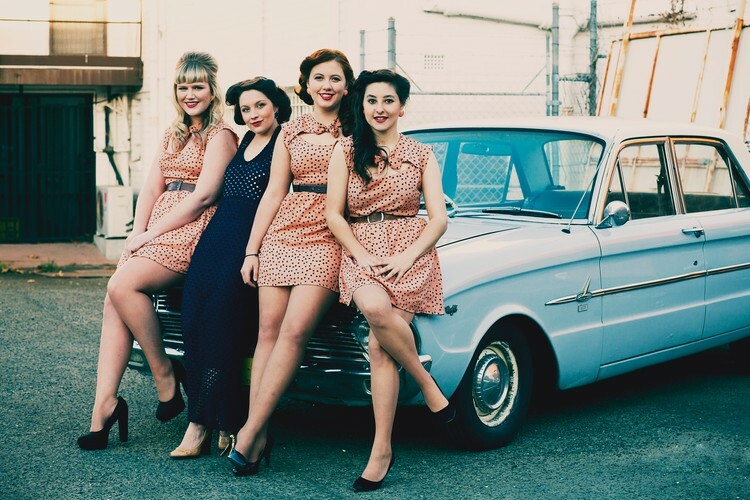 60's Indie-Pop outfit, "The Electric Vogues" will be supporting on the evening.